We’re hiring at Ivy Coach. 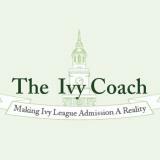 If you are a current or former college admissions officer at a highly selective university, we’re interested to hear from you as we’re hiring at Ivy Coach. Maybe you worked at Harvard, Princeton, Dartmouth, Yale, Penn, Cornell, Columbia, Brown, Stanford, Duke, Johns Hopkins, University of Chicago, Northwestern, Caltech, Amherst, Williams, Tufts, Middlebury, Vassar, Wesleyan, MIT, or another highly selective university. Maybe you’re tired of reading thousands of applications every year and deciding who and who should not gain admission. Maybe you want to earn more money than you’d make as a college admissions officer. Maybe you’d like the chance to be able to work from home. Or maybe you’d like the chance to be able to travel. We know, this sounds like an infomercial. But it’s true — this is what we can offer you at Ivy Coach. So give us a ring at 212-600-0312 or send us an email as we’d love to hear from you!